Ronnie Scheib (1944-2015) was an exceptional film critic. I had met her almost thirty years ago thanks to Janine Euvrard-Halbriecht and Michel Euvrard. She came regularly to Montreal – she had studied French at McGill University – for the World film festival. Until last year , she had come back every year despite her disappointment at seeing the slow deterioration of the festival, which had known extraordinary times. She had written for Variety since 2006, but there too, she was increasingly discouraged by the editorial policies of the magazine (short articles are obligatory, articles on independent or auteur films reserved for online publication, etc.). Even so, she never gave up her demands, as, for example, advocating for a unique cinema, one that puts aesthetics at the forefront of its work, and questions the limitations within which the majority of filmmakers place themselves to no longer go against the established order, so to speak. 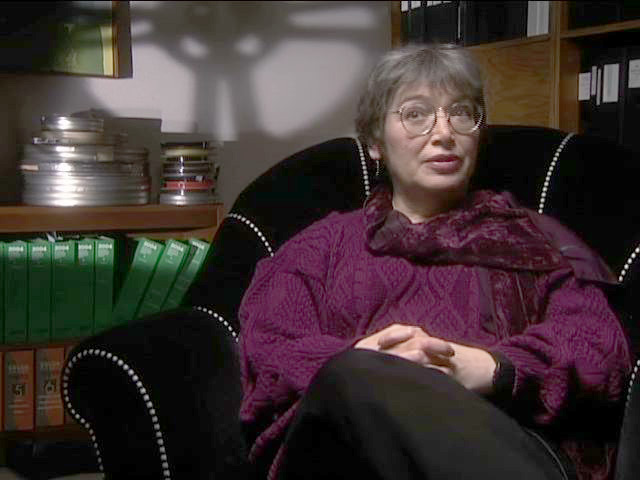 This woman of the Left supported films which changed the map of cinema, and did so, as soon as she began writing in the early 70s, in articles on films open to modernity, and theory-based reflections on cinema. How could I not become her friend? She always welcomed me with warmth and generosity when I would go to New York, handing out advice and recommending all of the not-to-be-missed films showing in the festivals held there, and especially our incessant conversations, in oriental restaurants that she preferred above all, about films we’d seen, loved, or hated. How could I not become the friend of she who admired — to the point of being haunted by it, like me – the works of Jean-Luc Godard? And what of her pen, her writing, which required me to read over several times (the translators of her articles for 24 Images, on which she had collaborated twice, had a hard time) as she was so complex, rich, knowledgeable, rigorous, elegant, completely subjective as should be all critics? For her too, cinema was thought, thought on the world, “Philosophy by other means” as Godard said. I am sure cinema helped us both, so closely partnered, to see reality, and – to indicate how far away we were from sectarianism – to trust this art of the present. Cinema was our common home.